Kelowna Windows and Doors by Euroclad At Euroclad - a Kelowna based company, established in 1988, we work with Home Owners, Contractors, Builders and Dealers who are looking for a local and reliable supplier with the ability to deliver their doors and windows with accurate results and a quick turnaround. 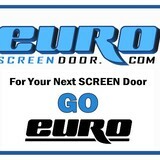 Euroclad is your one stop shop that is proud to offer a wide range of products, including multiple window lines, a huge variety of interior and exterior doors, sliding patio doors, trim, hardware and so much more! Our team is here to help educate customers, to ensure they make the best choices for their hearts desires, while using the appropriate energy efficient windows and doors. Think, Shop and Buy Local ~ we service the entire okanagan including Kelowna, Peachland, Summerland, Penticton, Oliver, Osoyoos, Winfield, Enderby, Vernon and beyond! Euroclad commits to offering Canadian made products, locally manufactured and an unsurpassed commitment to Best in Quality! 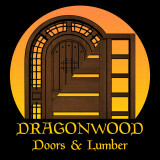 Based out of Kelowna, British Columbia, Dragon Interior Designs creates custom wood doors with old world style. Whether you want a round top, arched top, modern or contemporary wood door, a Dragonwood door adds value & unique character to your home. Our team at Dragon Interior Designs Corporation has years of experience that results in an outstanding product .Durable and of superior quality, our wood is scientifically kiln dried for our Canadian climate and is highly stable. Our unique breed of black walnut used in all our doors, is also engineered and therefor giving our doors the most stability and strength. Crafted in Canada by Canadian Craftsman. Our team has years of experience and is specialized in selling and building unique and luxury wooden doors throughout all of western Canada. These doors are hand made by master craftsman out of 100% solid medieval walnut and this premiere wood species can only be found in a DID door. What kind of services do Summerland door dealers provide? Door dealers are responsible for a variety of services, including door installation, replacement, door repair and custom door design. If you need a new door, Summerland, BC door dealers will help you determine what kind you need, as well as shape, color, size and more. From barn doors to French doors to front doors, these professionals can help you choose, install and maintain your door investments. Wood doors are beautiful, versatile and tend to be the most popular choice for both interior and exterior doors; they are easy to custom build, and include oak, cherry, walnut, mahogany, maple, fir and pine. Some standard wood doors have MDF cores wrapped in wood veneers, which minimizes the chances of warping as real wood expands when wet and contracts when dry. If your heart is set on a wood door but you think the Summerland, BC climate might cause it to warp, talk to your door professional about a furniture-grade veneered door. Aluminum doors have an insulated core and come in a variety of colors and finishes. With a baked-on enamel finish, they won’t rust or need repainting, and many come with a 20-year warranty. Next to wood they are the most expensive and have to be custom-made. A Summerland, BC door dealer can help you find a reputable aluminum door manufacturer. Find door dealers and installers in Summerland, BC on Houzz. 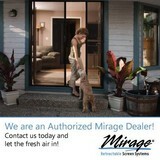 Look in the Professionals section of our website and search for Summerland, BC door dealers and installers. Read reviews, look at project photos and see how a pro can help with your home improvement project.